The 21st century’s longest lunar eclipse has passed, eclipse doomsday fever has subsided, and all that’s left are the memories and pictures, which you can find everywhere online. But one image really stood out to us—not because of the way the Moon looked, but because of how it made the Earth look. 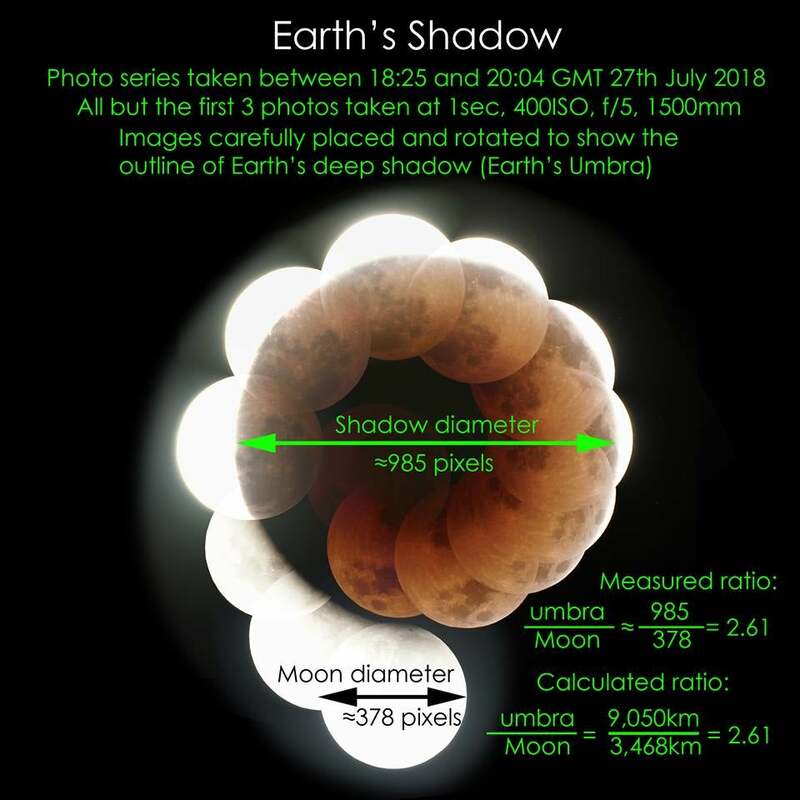 Australian amateur astronomer Tom Harradine had always wanted to create an image of the Earth’s umbra, the darkest inner region of the shadow. But during an eclipse, the Moon doesn’t pass through the whole of the Earth’s shadow. He needed a trick in order to show the whole thing. The result was this image, the combination of some photo arranging and special camera tricks: keeping the camera’s exposure, ISO, and f-stop settings the same for all but the first three frames of the eclipse (the brightest ones) in order to focus on the shadow, not the Moon. He used his image to correctly calculate the width of the Earth’s umbra at the Moon’s distance, approximately 9,000 kilometres or 5,590 miles. Though it was overcast the midnight prior, when he woke up at 3:30 a.m Brisbane time on Saturday, 28 July, the sky was totally clear. He rushed to set up his Dobsonian telescope. 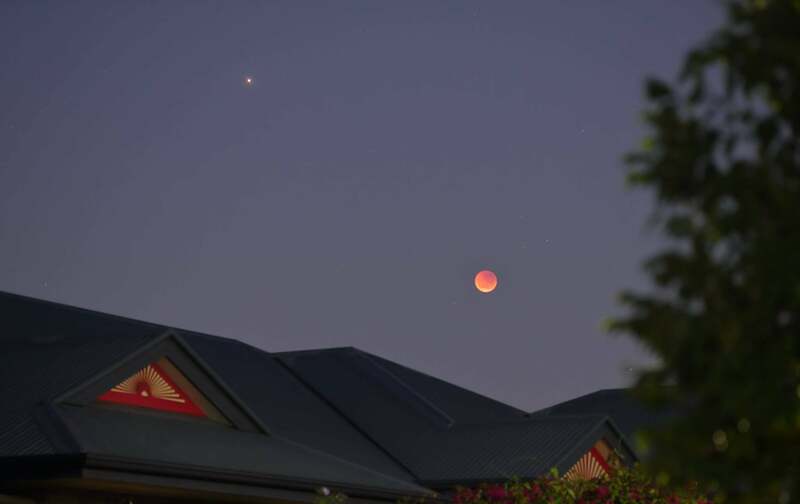 Brisbane, Australia caught the eclipse at dawn, but Harradine needed only to photograph half of the eclipse to create the image. He was also able to watch the International Space Station pass through the Earth’s shadow at 5:35 a.m., and took some awesome pictures of Mars yesterday. “It was amazing to see the ISS emerge from the very same... shadow that was eclipsing the Moon,” he told Gizmodo. The shadow takes up a different amount of space in the sky relative to the ISS than for the Moon, since the ISS is around a thousand times closer.